Here on Cost of Solar, We focus a lot on the benefits individuals themselves receive from going solar. And we’ve written a bit about much broader benefits to society as a whole. However, something sort of in the middle are the benefits solar customers deliver to their electric grids and other grid customers. Let’s take a moment to appreciate that great benefit, through the eyes of Colorado. A new study conducted by Crossbar Energy has found that Colorado Xcel Energy solar panel owners contribute $7 million to $11 million in annual benefits to other Xcel Energy consumers. These are not the gross benefits, but the net benefits. The study results were revealed by Vote Solar, which is working to counter an attack on solar net metering in the state. Net metering, which allows solar panel owners to sell excess electricity back to the grid at the same rate as retail electricity, has been a major stimulus for solar power growth in Colorado and across the US. As this study and several others show, however, the benefits from the solar power actually amount to much more than the solar power providers are credited. Nonetheless, due to the threat solar power poses to conventional utilities’ business models, some utilities have started outright attacking solar power and important policies such as net metering. My response to everyone is to really look into the costs and benefits of distributed solar power, so that you aren’t fooled by the attacks and you can help protect these important policies in your region if they are or become under attack. A great place to start is with this is Vote Solar’s fact sheet on the recent report [PDF]. Another good resource is this Clean Power Research report [PDF]. 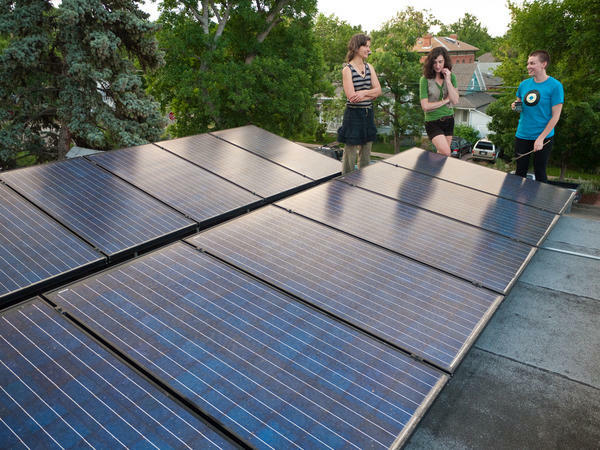 Solar saves you money, saves your neighbors money, boosts the local economy, and protects our environment.